It's 1996, Bill Clinton has just been re-elected and in Houston a mayoral election is looming. 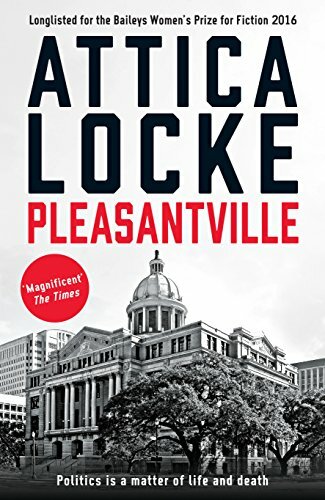 As usual the campaign focuses on Pleasantville -- the African-American neighbourhood of the city that has swung almost every race since it was founded to house a growing black middle class in 1949. Axel Hathorne, former chief of police and the son of Pleasantville's founding father Sam Hathorne, was the clear favourite, all set to become Houston's first black mayor. But his lead is slipping thanks to a late entrant into the race -- Sandy Wolcott, a defence attorney riding high on the success of a high-profile murder trial. And then, just as the competition intensifies, a girl goes missing, apparently while canvassing for Axel. And when her body is found, Axel's nephew is charged with her murder. Sam is determined that Jay Porter defends his grandson. And even though Jay is tired of wading through other people's problems, he suddenly finds himself trying his first murder case, a trial that threatens to blow the entire community wide open, and reveal the lengths that those with power are willing to go to hold onto it.